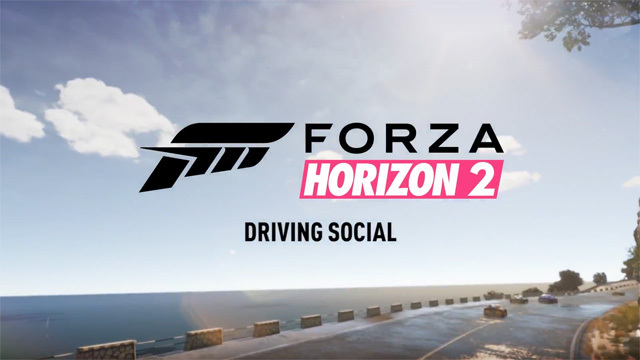 Today, the world got a bit more insight as to just how social Forza Horizon 2 will be once its released this September (9-30-14 to be exact). Playground Games, the studio behind Forza Horizon 2 released a video for Gamescom (think of it as a European E3) which detailed some of Horizon 2’s social features and how they will be integrated into the different game modes. After watching the video it appears that Playground Games really wants to make it easy for players to connect with their friends no matter what mode they are in. It will be easy for players to find out what their friends are doing, contact their friends, and play with their friends from just about any screen in the game. The video also provides a few more details on the in-game “Car Meets” and how that will change the way players browse tunes and paint schemes. There have also been tweaks to enhance popular multiplayer modes like “King” and “Infected”. To get a full rundown of how the social features work just watch the video below!